For instance, vocalist Nick Holmes used a muddy sounding grunt-style of singing in the band's early duration - "Lost Paradise" (1990) and "Gothic" (1991); upon the release of "Shades Of God" (1992), "Icon" (1993) and "Draconian Times" (1995), he refined his voice to a cleaner tone almost akin to James Hetfield of Metallica; and on "One Second" (1997), which was distributed by hip hop label Jive Records, the band experimented with Depeche Mode-styled synthpop and electronica, a style they would develop even further on "Host" (1999). Despite criticism from traditionalists, this bold approach has also garnered them many new fans along the way, and cemented the loyalty of progressive "old-timers." 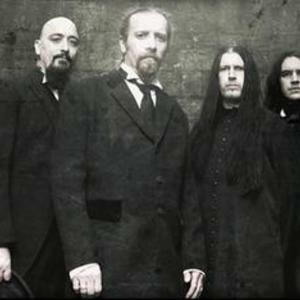 Paradise Lost's line-up has remained remarkably consistent for such a long-standing band, consisting of singer Holmes, guitarists Greg Mackintosh and Aaron Aedy, and bassist Steve Edmonson. Holmes and Mackintosh are the principal composers, with almost all of the band's songs credited solely to them. Only the band's drumming position has changed, with original sticks man Matthew Archer leaving in 1994 to be replaced by ex-Marshall Law drummer Lee Morris. In March 2004, Morris also left the band. Drummer Jeff Singer was brought in as a session and live drummer for the "Paradise Lost" album. Paradise Lost released their 11th album "In Requiem" which has a heavier guitar sound and a more aggressive vocal direction than their past records. Over The Madness, a documentary by Diran Noubar displaying the impact Paradise Lost has had on gothic metal, was released in 2007. A single named "[track]The Enemy[/track]" from the album was released on April 13th, 2007. Their 12th studio album "Faith Divides Us - Death Unites Us" was released on October 2009. The album was produced by Jens Bogren. On this album, the band shed all remnants of their poppier sound, resulting in their heaviest release since before Draconian Times. In 2012, they released Tragic Idol. The style of this album is in line with the previous two albums, continuing with more metal oriented songs, almost returning to Shades Of God and Icon, a bit more polished and with very crisp mixing by returning Jens Bogren. Drums on Tragic Idol are by Adrian Erlandsson.